No-spray, easy-way to kill ticks in your yard. Each year, over 300,000 cases of Lyme disease are reported in the U.S. alone. 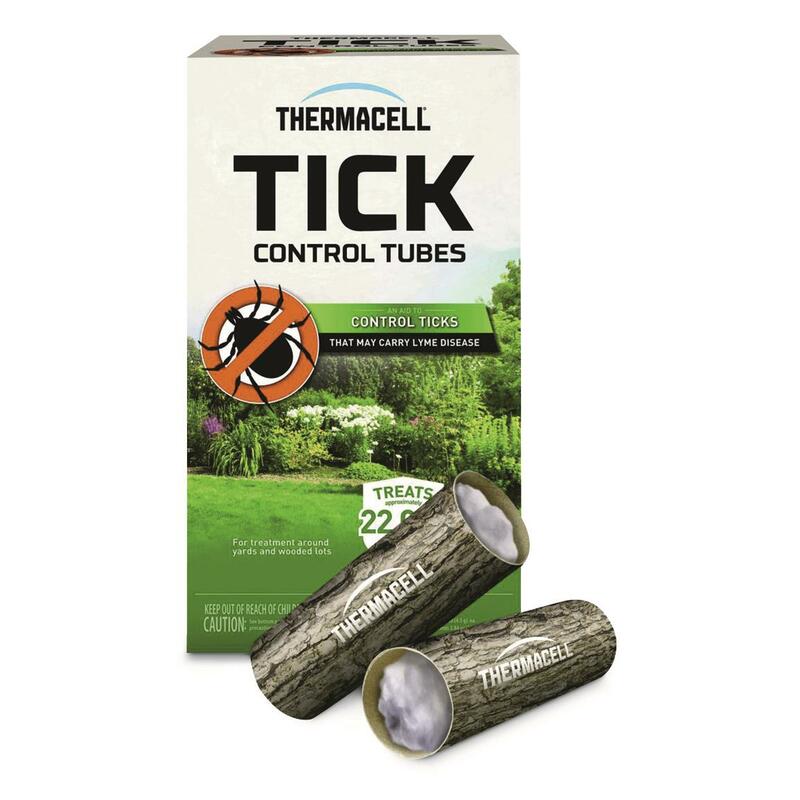 Thermacell® Tick Control Tubes provide you with an easy way to kill off disease-carrying ticks in your yard or campsite. Just place the Tubes where mice frequently visit, like flowerbeds, bushes, woodpiles, stone walls, and sheds. 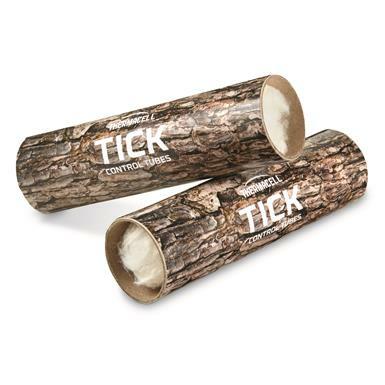 The biodegradable, cardboard-filled Tubes contain cotton with a specially treated material that kills ticks. Mice will collect the cotton and use it as a nesting material to line their underground nests. When the ticks feed on these mice, they also feed on the treated material. 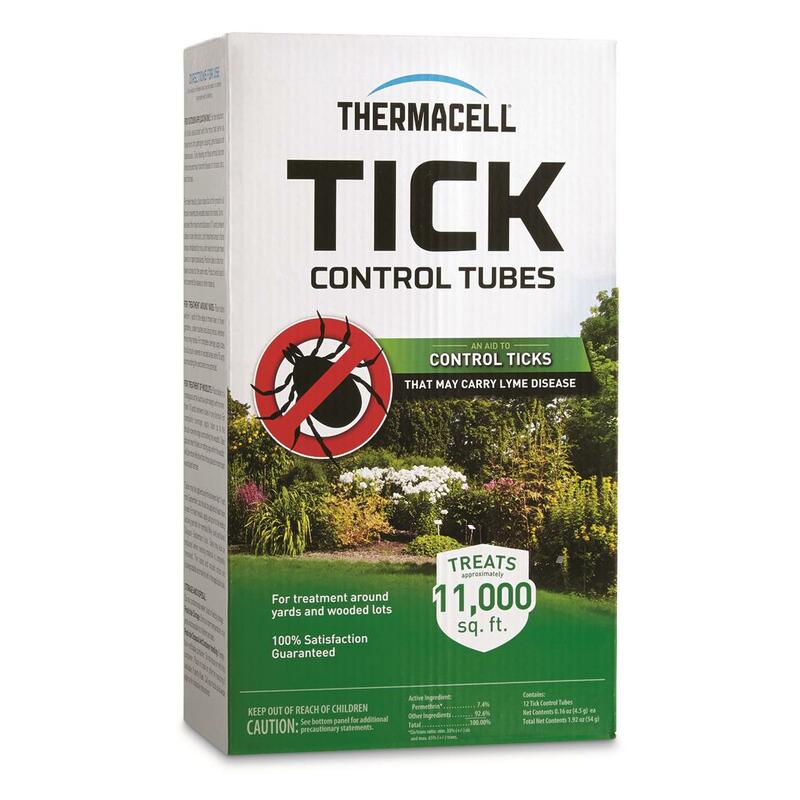 Thermacell Tick Control Tubes is rated 4.9 out of 5 by 22. Rated 5 out of 5 by Capt Dan from Super effective I have been using these Tick Tubes for a year and a half and in that time have noticed a dramatic drop in ticks on my property. I live on a 2 acre heavily wooded lot in southern Maryland and until I started using these the ticks were "out of control". Thanks Thermacell for a great product!! Rated 4 out of 5 by Curious40 from So far so good! We have only applied once so far and we have fewer ticks than usual. Will re-review after next application. They were quick and easy to install. Neat and clean. Application was a breeze. Rated 5 out of 5 by Sum3 from Great Product! I’ve used these the last 2 years in my backyard and the results have phenomenal. I’ve pulled 1 tick off our dogs in those 2 years. In years prior I was probably pulling 30 ticks off annually. Rated 5 out of 5 by Becky from Solves a worrisome problem I purchased tick tubes to place around 5 acres of property in the mountains of Central Virginia. I am happy to report that the mice are taking the tick tube materials back to their nests. My son checked a lot of the tubes today (Sept 28th) and said most were empty or at least less than half full. They moved a storage container on Sept 27th and there was a mouse nest underneath it, and the nest was lined with the tick tube material. The mouse was fine! 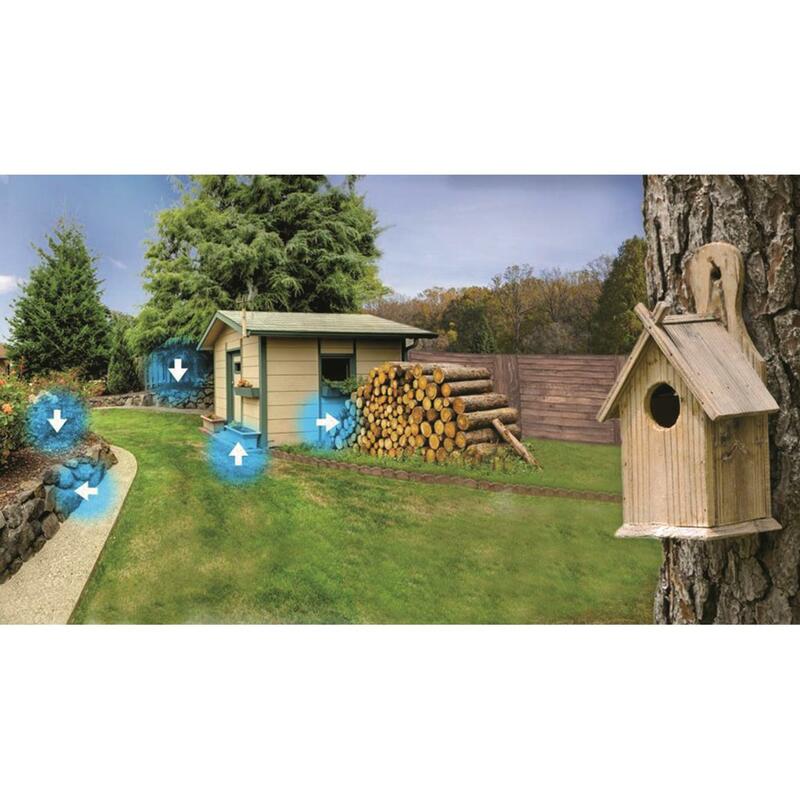 We are finishing rental cabins and want our guests to be safe from tick diseases. I will be ordering again in the Spring! Rated 5 out of 5 by pjr1310 from No Ticks allowed! We recently moved into our home and were concerned by a rise in ticks in the area. Thankfully, we found this product and I can say that it was easy to use and we are still tick free! Rated 5 out of 5 by Greenmountaingrandpa from Simple to use and it works! I have used this product for two summers around my yard to prevent ticks from biting my grandchildren. Once placed, they must be working because I haven't seen one tick around here. It has been a good investment! Rated 5 out of 5 by Rock from These work! I heard it was supposed to be one of the worst years for ticks so I placed these around my yard in early spring. Haven't had any ticks yet this year!